Auditoire has appointed Xavier Daurian as general manager for the Hong Kong office with immediate effect. In his new role, Daurian will be responsible for overseeing the development for the Hong Kong office and work closely with Antoine Gouin, managing director Asia, who is based in Shanghai. Daurian has worked and lived in Asia for the past 18 years. Kicking off his career in events in Beijing, he moved to Shanghai and eventually to Hong Kong, where he has led international agencies such as Havas Sports and Entertainment, Havas Events, and Luminous. 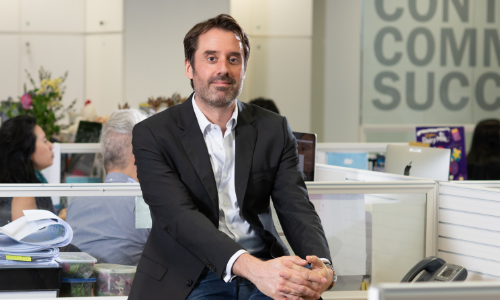 “Auditoire Hong Kong aims to support this growth and deliver outstanding and impeccable services to brands looking for a Hong Kong-based partner with both local and regional capabilities,” said Daurian. Daurian’s appointment also signifies the growth of the agency in Asia-Pacific. “The presence and international development of Auditoire in Asia-Pacific is quickly intensifying. In order to provide the best services, the steady expansion of Auditoire in key strategic locations will allow us to fulfill the current and future needs of our clients as well as our own,” concluded Gouin. This move is part of the new brand positioning that the bank rolled out in November 2018, beginning with the introduction of the q..
Pandora's vice-president of marketing, Isabella Mann, shares how she’s been thinking outside the jewellery box to prove the brand’..
Marketing budgets are among the first to go in a slowing economy, but as Rachel Catanach argues, it should not spell the end of yo..